Meet the folks behind Hyatt Commercial. Since beginning his real estate career in 1953, Louis Hyatt has been one of the most active businessmen throughout Annapolis and Anne Arundel County. Forming his own brokerage firm in 1961, Louis guided Hyatt Commercial into the full-service firm it is today, providing commercial sales and leasing, property management, and investor services. He has also undertaken active roles in the banking, civic, and real estate communities. With extensive experience in brokerage, banking, investments, and syndication, Louis has been involved in many prominent commercial and residential projects throughout the region. He has organized and participated in numerous award-winning joint ventures and limited partnerships. 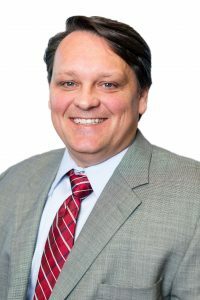 His community and civic involvement includes two terms on the Annapolis City Council and membership in the Annapolis Planning and Zoning Commission. He was elected to the Democratic Central Committee, Annapolis, and was elected Realtor of the Year for Anne Arundel County by the Anne Arundel County Board of Realtors. He served as president of this board as well. A retired director of (the former) Farmers Bank of Maryland, Louis also served on the National Advisory Council of the Small Business Administration, as vice chairman and commissioner of the Maryland Real Estate Commission, and president of the Anne Arundel County Board of REALTORS. He is also a recent member of the Anne Arundel Economic Development Finance Committee. Louis’ professional associations include lifetime membership to the National Association of REALTORS, Anne Arundel County Board of Realtors, and the Anne Arundel Commercial and Investment Agents. A native Annapolitan, Louis was honored to be named by former Annapolis mayor Ellen Moyer as one of the people most positively affecting Annapolis, which is where he continues to reside today. 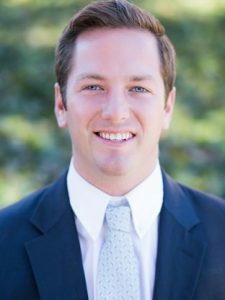 Justin joined Hyatt Commercial in 2017 with more than 10 years’ experience in the commercial real estate industry. As Senior Vice President of Sales, Leasing and Acquisitions, he manages the day to day operations and focuses on sourcing and acquiring commercial real estate investments for the growing Hyatt Commercial portfolio. 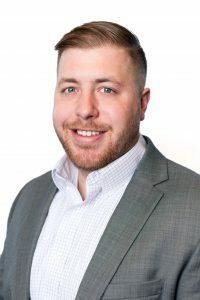 Justin has worked as an advisor and agent for small and medium size businesses and has completed over $100,000,000 in leasing and sale transactions. He has served clients in various industries including health care, telecommunications, professional services, health and fitness, marketing, and institutional/private investors. Justin is a 6th generation Annapolitan, graduated from St. Mary’s High School, received a B.A. from University of Virginia and has deep roots in the Anne Arundel County real estate and business communities. 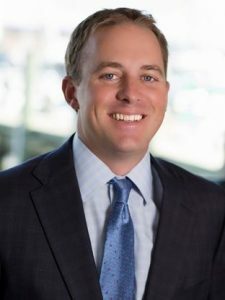 He is very active as a member of the Building Traditions Society of the Anne Arundel Medical Center Foundation, the Touchdown Club of Annapolis, The Royal Blue Club, and as a youth lacrosse coach. Justin currently lives in Annapolis with his wife Courtney and daughter Millie. Joe is the Senior Vice President of Property and Construction Management at Hyatt Commercial. He joined Hyatt in 2006 and provides complete oversight of the property management and construction operations. With over 35 years in the business, Joe has had a long record of providing exceptional property management and construction management services to both local and national tenants and owners. He is a Maryland Licensed Real Estate Salesperson where he participates in a variety of retail & office deals annually. Prior to Hyatt Commercial, Joe spent 23 years with Commercial Management Company/Della-Ratta Construction, Inc.
Joe is an active member of several real estate groups, serving as a member of the Anne Arundel County Commercial and Industrial Association and the International Council of Shopping Centers. He most recently served on the ICSC Mid Atlantic planning committee in 2015. Joe has been a lifelong resident of Anne Arundel County. He is married to Christine and has two children. Bill is a native Annapolitan who has spent his entire career in Annapolis. Bill attended Anne Arundel Community College and the University of Maryland from 1970 to 1974 before returning to Annapolis to operate his family’s two retail clothing stores. The stores closed in 1990 after 53 years in business. That same year, he obtained his real estate license and hung it with Hyatt Real Estate, which eventually became Hyatt Commercial. Bill specializes in the sale and leasing of office, retail, and industrial properties for users and investors. He also has a real estate consulting business. Bill is now the senior vice president for Hyatt Commercial. Currently, Bill lives in Annapolis with his wife, Debbie (who is a residential agent) and his two children, Amanda and Aaron. Jack joined Hyatt Commercial in 2003, and is responsible for commercial and residential properties. As a main point of contact for owner communications, he is accountable of a vast portfolio from the leasing process, managing tenant improvements and contract negotiations. As an Anne Arundel county native and City of Annapolis resident, Jack has called Annapolis home for over 10 years. He graduated from Towson University with a concentration in Business Management. 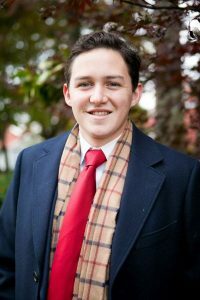 In his spare time, Jack enjoys sports, boating, fishing and spending time with his family. John has been in commercial real estate since 1995, following a decade in general construction where he focused predominantly on municipal contracts. His development knowledge leverages a solid foundation in industrial tenant representation assignments gained while with Colliers Pinkard (Columbia). He also mastered the Baltimore-Washington corridor tenant base and land inventory as the firm’s land specialist. Overseeing McShea & Company, Inc.’s Columbia office for five years, John performed tenant representation assignments while leasing and managing a 700,000 sq. ft. office and industrial portfolio (half of which sold in a 1031 Exchange and Investment acquisition). As an active broker in the Baltimore-Washington corridor, John’s deals have been split between relet and development deals as industrial, office, and retail transactions, specifically along the Route 1 corridor in Baltimore, Howard, and Prince George’s counties. Serving two years on both the Route 1 Revitalization Committee (Steering Committee), the Board of Directors and (co-chair) Economic Development Committee of the Baltimore-Washington Corridor Chamber (BWCC), he has a strong knowledge of the tenants, landlords/property owners, and development opportunities from south of Baltimore to the District of Columbia. A Loyola College graduate, his strong community ties keep him involved with development committees, volunteering and coaching a Howard County youth program, and as a rugby coach for Mount Saint Joseph High School in Baltimore. Eric began his time with Hyatt Commercial in 2015. Previously, he spent two years working in the New York City office of OMD as a member of the media investment team, which handled television and advertising for Gatorade and other national brands. Originally from Deer Park, NY, Eric now calls Baltimore home. He graduated from Towson University in May 2012, obtaining a bachelor’s degree in business with a concentration in marketing. During his time at Towson University, he was a member of the American Marketing Association (AMA). As captain of Towson’s rugby team, Eric led Towson to the final four during his senior year. Judith, who joined Hyatt Commercial in 2016, began her real estate career in 1989 representing buyers, sellers, landlords, and tenants to lease and sell real property. In 2007, she took on the role of president at L L Construction and Property Management, where she helped business owners and investors reduce risk and maximize return on purchasing and managing construction renovation of distressed properties and single lot developments. She holds a MHIC license. Judith is a University of Baltimore alumnus, obtaining her bachelor of science in real estate and economic development in 2016. Her focus is tenant representation, investment sales, office, retail, marina and multi-use properties in the Baltimore / Washington Corridor. She enjoys influencing positive economic growth of local community. 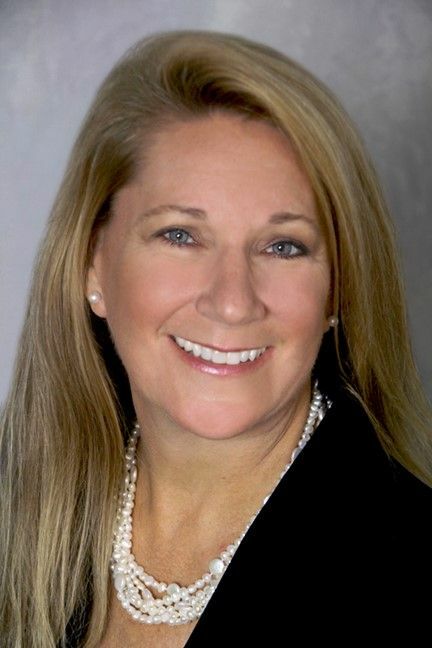 Judith is a current member of the Greater Severna Park Chamber of Commerce, BWI Business Professionals and AACIA and recently part of Arts Council Gala committee. Judith previously served on Urban Land Institute charrette working with a team of experts studying and researching economic impact of rising tides. She was past Executive Director of the Anne Arundel Association of Realtors serving on the Legislative Committee. After raising two children in South County for 20 years, she and her husband now live in Crownsville. John Gallagher joined the team as a Sales and Leasing Associate in 2017. 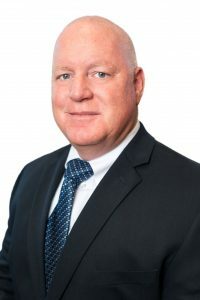 Mr. Gallagher specializes in commercial sales and leasing representing both landlords and tenants in various industries in Anne Arundel County and surrounding markets. His experience on both sides of transactions enables him to play a strong advisory role truly understanding and representing his clients’ needs. John received a B.S. in Business Administration from Towson University where he was a member of the men’s lacrosse team. 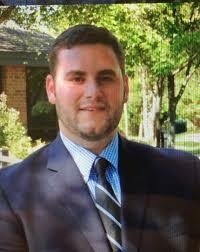 He is currently a licensed real estate sales person with experience in commercial sales and leasing. Mr. Gallagher is active in the Touchdown Club of Annapolis and the Maryland Tech Council. He resides in Annapolis and is also a volunteer lacrosse coach. George Shenas joined Hyatt Commercial in the fall of 2017. He spent the previous two years working as a commercial real estate agent representing clients in the Baltimore Washington Corridor. He works with a variety of clients looking to buy, sell, or lease commercial real estate in the region. George remains focused in the Corridor covering primarily Anne Arundel and Howard County. George received a degree in Political Science from Barton College where he was on the men’s golf team. He also attended DeMatha Catholic High School and helped the men’s hockey team secure the state championship in 2008. Cecil works as a broker for the sale, acquisitions and leasing of Commercial Real Estate in Annapolis, MD and the surrounding markets. Cecil has diverse experience including work as a social media consultant to a victorious Mayoral Campaign, coordination of events for Accredited Investor groups, and is an experienced public speaker having spoken on stage with renowned speakers Gary Vaynerchuk and David Osborn. Cecil currently sits on the Board of Directors for the Chesapeake Baysavers Foundation and is an Active member of the Comptroller of the State of Maryland’s Business Advisory Council. Mr. Cummins is a native of Annapolis, Maryland. He enjoys spending time seeking adventure around the world. He received a Bachelor of Arts in Economics, Accounting and Business Administration from McDaniel College. He currently resides in the Eastport neighborhood of Annapolis.